So, a rock is just a rock right? You look at them, play with them, and throw them across the water, if you’ve become an expert at that of course. Wrong! A rock is not just a rock, there are loads of different types of rocks and they’re formed in all sorts of ways. Get ready for some awesome sedimentary rock facts! Sedimentary rocks are actually formed by sediment. It is piled up over time, usually in layers at the bottom of the ocean or even lakes. The sediment can include all sorts of things like minerals, bits of plants, shells, corals and algae and all sorts of other weird and wonderful things. Over a long, long time, all that weight of the sediment piling up on top of each other forms different layers which means that they become solid layers of rock. Interesting huh? Have you ever seen rocks that have got layers in them? Well these are probably sedimentary rocks, because as we know the sediment piles on top of each other and forms layers. You can normally see them on cliffs. These layers are called strata. Now this is pretty weird! Sedimentary rocks cover most of the Earth’s rocky surface, but the only make up a small percentage of the Earth’s crust. 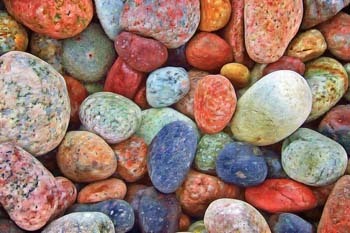 The majority of rocks found on the surface are metamorphic and igneous rocks. So what type of sedimentary rocks do you get? Well you get limestone, sandstone, mudstone, greywacke, chalk, and flint. So what are these rocks used for. 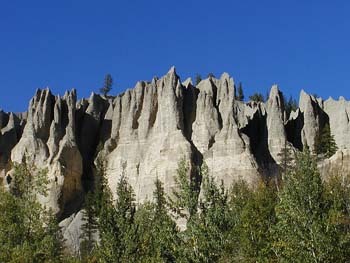 Well limestone gets crushed and is used a lot in construction including building roads, it is also used to make cement. Sandstone is used in building as its super solid. Did you know that it comes in heaps of different colours like red, yellow, grey and brown? Mudstone is used for pottery, bricks and roof tiles as well as cement. So now we know what our houses are mostly made of! Graywacke is a really hard rock and is also used for building roads, as well as construction of all types. We all know and love chalk, writing and drawing with it, but it does actually have other uses like in building, they use it to form quicklime, you’ll even find gymnasts pouring that chalk on their hands so they don’t slip. Can you believe this? It is also in toothpaste, yes toothpaste, builders putty and fingerprint powder. Wow it certainly has its uses. Coal on the other hand helps us to be nice and warm, as it creates electricity, heat and energy. Did you know that flint has been used for at least 2 million years to make stone tools? Wow! It is also sometimes used in construction today. Sedimentary rocks give us awesome clues about the Earth’s past. Pretty cool and important rocks too! This is pretty neat. Sedimentary rocks often have fossils of plants and animals in them from millions of years ago. The mudstone cliffs along the southern coast of England have heaps of fossils from dinosaur times. Right, pack your bags it’s off to England we go! Do you know what the White Cliffs of Dover in England are made of? Well they’re made from shells and trillions of tiny animals that died over 65 million years ago. No way! In swampy areas, when plants die they actually don’t decay. How weird is that? Instead they turn into peat. When the peat is compressed over millions of years, it becomes coal. Wow, that’s neat. Are you all clued up on sedimentary rocks? Well you can use this information for your next test and we bet you’ll get cool marks!